Dental patients are always asking the same thing: What’s the best toothpaste? They also want to know if certain ingredients they’ve seen on toothpaste labels are toxic, questionable or less than desirable. While the research isn’t conclusive, one thing’s certain: most commercial toothpastes contain things that don’t need to be in there to effectively clean your teeth. And something else is certain: you can make an effective, economical and sensible fluoride-free toothpaste yourself and avoid all the controversies, the exposure to toxins and the potential harm that comes with them. So why wouldn’t you forget the commercial choices and make your own toothpaste? Understand, though, that homemade toothpaste is just one part of a healthy life. To truly get any benefit from changing to a toothpaste without toxins, you need to eliminate unhealthy foods, food additives, excessive electromagnetic radiation and other potentially harmful things from your life too. These are all readily available at good grocery or health food stores. While Xylitol is the hardest ingredient to find, even that should be available near you. 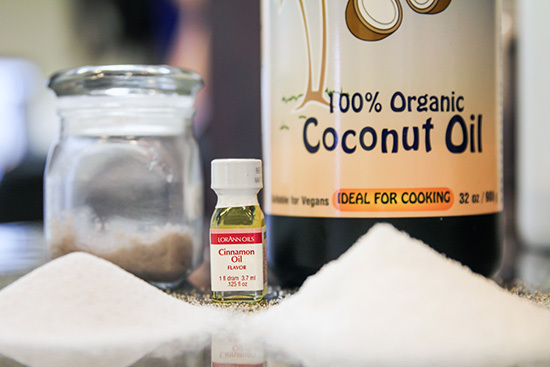 To make the toothpaste, this is all you have to do: heating a half-cup of the coconut oil over gentle heat, add 2 or 3 tablespoons of the baking soda or 1 tablespoon of the pumice as well as a 15 to 20 drops of the essential oil — peppermint or cinnamon are great choices — and the Xylitol to taste. Xylitol is a sweetener that is also proven to have antibacterial properties. If You Won’t Make Your Own Toothpaste..
After explaining that simple recipe to some patients, the next question is this: So if I don’t have time to make my own, what’s the best toothpaste on the market? If you insist on using a commercially available toothpaste, there’s a long list of ingredients you should avoid. First, you should always choose a fluoride-free toothpaste, especially if children will be using it because fluoride appears to have reproductive and developmental consequences. Other chemical to avoid include triclosan, BHT, PEG-12, sodium hydroxide and propylene glycol. These all show pretty clear relationships to negative consequences. We also recommend that you avoid sodium lauryl sulfate, sorbitol and manganese gluconate. Trying to avoid all these substances leaves you with few remaining toothpaste brands, but a few you might examine and consider are Tom’s of Maine, Jason, Kiss My Face and The Natural Dentist. Just remember to read labels and make a smart decision because ingredients change all the time. Choosing the best toothpaste is essential because gum disease is linked to problems with your heart and other organs as well as many other conditions. But when you take care of your teeth, you’re taking care of your gums too. And that can lead to a better, healthier life overall. Since it’s so important, why would you mess around with something that contains questionable or proven-harmful substances? When a better, homemade and fluoride-free toothpaste is available, the commercial brands just don’t make sense.